Pure began as Genesis Pure, an MLM company launched in 2009. Heading up Genesis Pure was CEO and Chairman Lindsey Duncan, until the FTC went after Duncan for fraud in 2014. In the wake of the FTC’s lawsuit, Genesis Pure scrubbed any mention of Duncan from their website. Duncan settled the FTC’s allegations for $9 million in January, 2015. I’m not exactly sure when Genesis Pure was renamed Pure. but the first Pure branded video appeared on their company’s YouTube channel on June 23rd, 2017. Today Pure is headed up by Daren Hogge. Hogge first appeared on BehindMLM in June 2016, as founder, President and CEO of Q Sciences. In August 2018 we published an updated Q Sciences review, noting Hogge was nowhere to be found. Further research reveals Hogge was appointed CEO of Pure in December, 2016. Read on for a full review of the Pure MLM opportunity. In addition to being Chairman and CEO of Genesis Pure, Lindsey Duncan was also “head formulator” of their product line. This was a major problem for the company when the FTC went after Duncan. I’m not sure how they ultimately dealt with it, but I do note that some of Pure’s products were marketed in Genesis Pure. A ton of new products have also been added, expanding Pure’s product range substantially. Pure markets a range of products spanning nutrition, weight loss, performance, seasonal support, hydration and skin care. Note that despite its length, Pure stipulates that the above list “is not all inclusive”. A full product list with retail pricing is provided on Pure’s website. Pure’s compensation plan pays affiliates for making retail sales. Residual commissions are paid through a binary team, with a generation bonus adding depth beyond two binary team sides. Additional performance-based bonuses are also available. There are fifteen affiliate ranks within Pure’s compensation plan. GV stands for “Group Volume” and is sales volume generated by an affiliate and their downline (binary team). 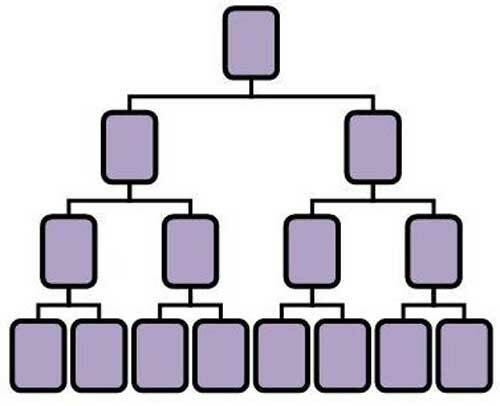 To qualify for MLM commissions, each Pure affiliate must generate 100 PV or more every 28 days. PV stands for “Personal Volume” and is sales volume generated by retail orders and an affiliate’s own purchases. Pure pays a 25% commission on sales to retail customers. A 5% commission is paid out on preferred customer orders. Preferred customers are retail customers who opt for a monthly standing order, in exchange for a 20% price discount. The Enrollment Bonus is a recruitment commission. Note Pure’s compensation plan sates customers can also purchase Enrollment Packs, however they are clearly intended for affiliates. The Sponsor Bonus is a 10% volume bonus on orders placed by personally recruited affiliates. The Sponsor Bonus applies for a newly recruited affiliate’s first 90 days and is capped at $400. Pure pays residual commissions via a binary compensation structure. At the end of each week Pure tallies up new sales volume on both sides of the binary team. Affiliates are paid 10% of sales volume generated on their weaker binary side. Once paid out on, volume from the weaker binary side is matched with the stronger side and flushed. As long as MLM commission qualification criteria is maintained, leftover volume on the stronger binary team side is carried over. Pure pays the Generation Bonus using a unilevel compensation structure. Within this unilevel structure, Pure defines a generation when a Silver Director or higher ranked affiliate is found in a unilevel leg. This Silver Director or higher ranked affiliate caps off the first generation for that leg. The second generation begins immediately under them, up until a second Silver Director or higher ranked affiliate is found in the leg. If no second affiliate exists, then the second generation extends down the full depth of the leg. Using this generation definition, Pure pays the Generation Bonus on up to ten generations. Pure takes 3% of company-wide sales volume and places it into the Leadership Bonus pool. Diamond and higher ranked affiliates only receive a $1100 Lifestyle Bonus if they fail to qualify for the Leadership Bonus for two weeks in a month. Additional payments require an affiliate to maintain ranks for specified periods of time. Pure affiliate membership is $25 a year. In order to qualify for all offered bonuses and commissions faster, a Pure affiliate may sign up with an Enrollment Pack. Pure Enrollment Packs are split into $449.95 (300 PV), $699.95 (500 PV) and $1899 (1500 PV) options. In addition to affecting Enrollment Bonus qualification, the other difference between the Enrollment Packs is the bundled products. Pure seems to have emerged mostly unscathed following Lindsey Duncan’s downfall, at least as far as their products go. What’s offered today exceeds what was available through Genesis Pure. Pure’s product offering competes with that of a health food store, making it easy to compare pricing and ingredients if you’re digging deeper into the products. One thing I have to comment on though is the ridiculous notion that retail customers will buy Enrollment Packs. Let’s call these for what they are, affiliate signup packs that trigger large upfront volume for recruiters. They also double as the easiest way to qualify for the Enrollment Bonus, creating an unnecessary focus on Enrollment Pack recruitment. No retail customer is going to drop $2533.95 on an Enrollment Pack. It’s just not happening guys. Outside of that silly bit of pseudo-compliance, Pure’s compensation plan is otherwise fairly balanced. One my biggest criticisms with Genesis Pure was the revenue sharing, which is thankfully gone in Pure. The Leadership Bonus is still based on a percentage of company-wide sales volume, but shares are allocated based on rank. In Genesis Pure shares were tied to how much recruited affiliates spent, as well as those who recruited them. It was a compliance mess and needed to go. On that note, Pure offers up a simplified and updated compensation plan. In Pure commission qualification volume is left up to the affiliate to build. Recruitment criteria is present only at the top Crown Diamond rank. That’s not to say Pure couldn’t benefit from hard monthly retail volume requirements. Maybe a 33% hard cap, 50% soft cap (50% commissions?) and 51% for full earnings. Unless there’s something wonky with the products I’m missing, with such a large range on offer there’s really no excuse for Pure affiliates to not be generating retail sales. Capping residual commissions based on rank is smart, as it indirectly keeps affiliates focused on their downline. Which is great if they’re making retail sales, otherwise you wind up with affiliate autoship chains. If you’ve done your due-diligence on Pure’s products and are now a prospective affiliate, you want to check how your upline qualifies for commissions. If they’re generating 100 PV through retail sales, great! If they’re generating it on autoship, you want to see at least 100 PV equivalent in retail sales (this includes preferred customers). Whatever challenges Pure has faced in the past, they’ve clearly worked through and come out the other side. 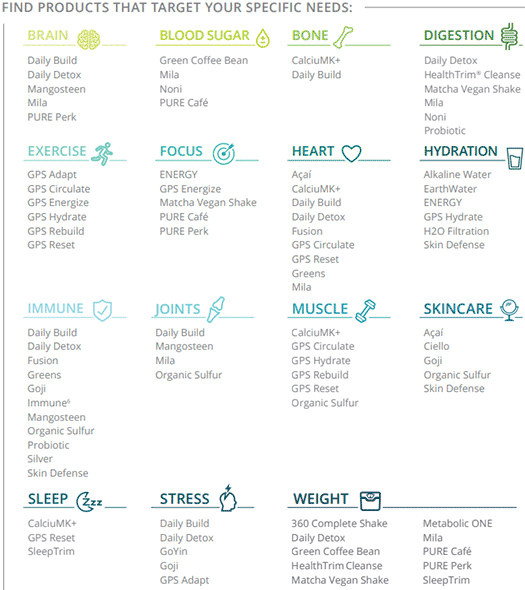 Overall I feel Pure’s biggest strength its product catalog, which provides a solid foundation for what should be a retail centric MLM opportunity.